Sometimes, a wrong turn can bring you to the right place. When we couldn't get a table one humid night at Carinderia ni Tandang Sora in Deira sometime ago for dinner, we had no choice but to move on to the next restaurant nearby because the kids were hungry. 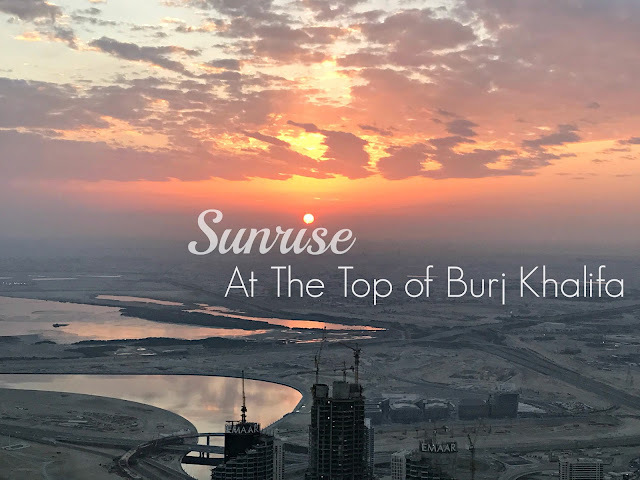 But you know what; we never really regret it because we discovered this dope place that every Dubai resident is talking about. We found Bodega Street Food. Have you tried? How was it? There are many new Filipino restaurants now in Dubai with brands originating from the Philippines and there are many are others that are home grown too, owned by Pinoys working and living in Dubai for many years who have the guts to venture into food business. One of it is the humble eatery named after a Filipina revolutionary Mechora Aquino also know as Tandang Sora (Elder Sora) hence the name of the eatery Carinderia ni Tandang Sora. A little info about Tandang Sora: In her native town, Tandang Sora operated a store which became a refuge for the sick and wounded revolutionaries. She fed, gave medical attention to and encouraged the revolutionaries with motherly advice and prayers. Secret meetings of the Katipuneros (revolutionaries) were also held at her house. Thus she earned the names "Woman of Revolution", "Mother of Balintawak", "Mother of the Philippine Revolution", and Tandang Sora (Tandang is derived from the Tagalog word matandâ, which means old). My kids have a six year gap. Both were born in April but one in the beginning of the month and the other at the end. We thought that celebrating their birthday at the same time is both practical and economical which we did during our daughters 7th birthday and sons 1st birthday. We chose a date to celebrate it (Friday since it's the weekend and many friends can attend) and pour all efforts to make it a memorable one. Then they grew up and the day came when our pre-teen daughter and our six year old son have different ideas of a birthday party. The latter still wants a children's birthday party while his sister wants just a hang out with friends and schoolmates on her birthday. Ferald and I only wants what's best for our kids and we imagined the type of birthday parties we can give them but they are both growing up and their opinion matters so we ask them what kind of birthday party they want and they gave us totally different answers. Mica: I want a birthday party at Al Mamzar Park with my friends and classmates. Ferald and I who swear to provide enough to our children put on our genie hat and zhazammm!!! gave them the party they asked for. Not an extravagant one but something that we can afford. Prince 6th Birthday Party at Mc Donalds. Why a birthday party at Mc Donalds? Because he ask for it, and his decision made this birthday party planning simple for me because all I have to bring is the birthday cake and Mc Donalds takes care of the rest. They provide the venue with decorations and sound system, party host, food, loot bags, game prizes, a gift for the birthday celebrant, and special appearance of our all time favorite mascot Hamburglar. I mean like this happy! When Garage Clothing had a giveaway tour last year, I got myself a ripped, distressed boyfriend jeans. Thanks to one of the staff who literally ask me to turn around for her to see my hips and behind to tell me exactly which size will fit me. 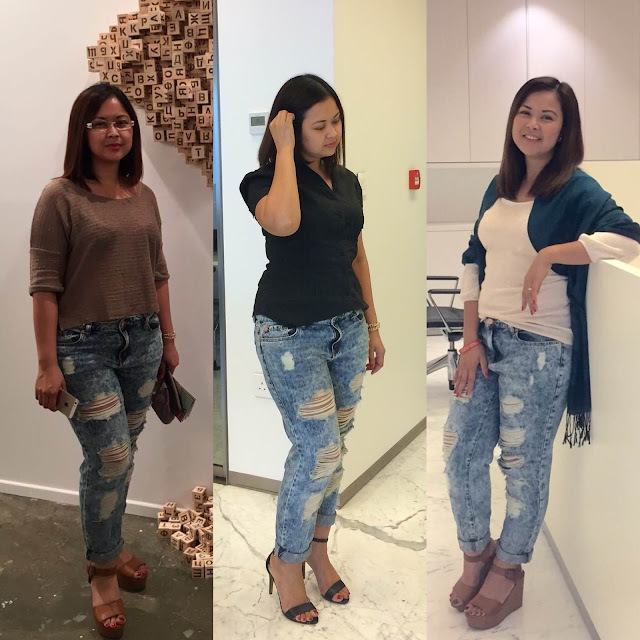 I have an hourglass body shape (or not) and I wasn't so sure in the beginning that what she gave would fit me but when I tried it at home, it was a perfect fit. I always have a hard time shopping for denim jeans and most of the time after trying it on, I end up returning it in the rack because it doesn't suit me. Now, this Garage Clothing ripped boyfriend jeans that I got by chance is one of my favorite pair of jeans in my closet. Although I find it hard to style it sometimes, I already wore it three times, three different ways and I love it. Being an almost plus size me is challenging but as they say you have to learn how to dress your body type and not the size you want to be. Finding inspiration from Pinterest and Instagram helps a lot. I can't wait to wear my ripped jeans again. For now here is how I wore it three ways. When I mentioned to my family that I received an invitation for a Friday brunch in Hyatt, Ferald and Mica looked at each other and said kunafa in unison. I can't help but laugh and reminisce that day with them. It was at an Iftar dinner at Grand Hyatt some years ago where we had the best kunafa in town, the best we've ever had until now. Even if we tried other kunafa's already, we always say that the best kunafa can be found in Grand Hyatt. Alison Nelson Chocolate Bar located at The Golden Mile, The Palm is their 11th branch in the UAE. ANCB is a popular café in New York City’s West Village, founded in May 2002 with regular guests celebrities like Sarah Jessica Parker, Gwyneth Paltrow, Julia Roberts, Scarlett Johanson, Jake Gyllenhal, Leonardo DiCaprio and Uma Thurman, is continuously expanding here in the UAE, giving locals and us, residents a taste of the best from the west. The restaurant is immaculately charming with champagne colored soft leather seats, chocolate brown tables, marbled floors and floor to ceiling glass windows. For the first time in Dubai, 18-time Guinness record holder and Broadway specialist Melody Yang and Deni Yang will be performing at the World Trade Center from 19th to the 21st of May for the spectacular Arabian Bubble Celebration - an event for the entire family to see and enjoy. One could certainly look forward to 12 shows with performances featuring laser and 3D effects in a 70-minute show guaranteed to leave every member of the audience in awe. 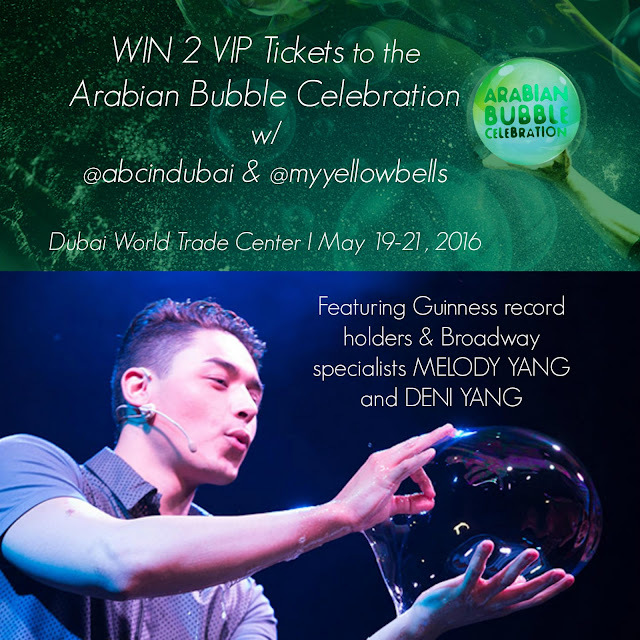 I am very excited to announce that My Yellow Bells has teamed up with Yardstick Marketing and Arabian Bubble Celebration to give not 1 but 3 lucky winners, each of the winner can take their best buddy to watch the show. 2. Answer this question and write your answer as a comment on my Instagram post. Q: Name the artists who will be featured at the Arabian Bubble Show? 3. Tag a friend you would like to see this spectacular show with.